The Duchess of Richmond, the third of Canadian Pacific Ships brought 606 British Home Children to Canada, according to Library and Archives Canada. Built and launched in 1928 by John Brown & Co. of Glasgow, her passenger capacity was 580-cabin, 480-tourist and 510-3rd class passengers. Her first trip was a trial cruise to the Canary Islands in January of 1929. Among her passengers was Lord Baden-Powell, founder of the Boy Scouts and his family who were attending Scout rallies at ports along the way, including Mallorca, Tenerife, Monte Carlo and Lisbon. The Duchess began her transatlantic career in March of that year and sailed from Liverpool to St. John, New Brunswick. During the summer, her destination was Montreal. On 27 April 1929, she ran aground at Saint John. Her passengers were taken off, and she was refloated the next day and resumed her service. During the Second World War, the Duchess was requisitioned as a troopship. She played a role in the Tizard Mission, which brought secret military equipment and designs such as the cavity magnetron from Britain to Canada and the United States. The magnetron is a vacuum tube, that works as a microwave oscillator. This is used to produce a high-power output required in radar equipment. The Duchess also transported troops to North Africa. In May 1946 Duchess of Richmond arrived at the Govan yard of Fairfield Shipbuilding and Engineering for her overhaul and refit. 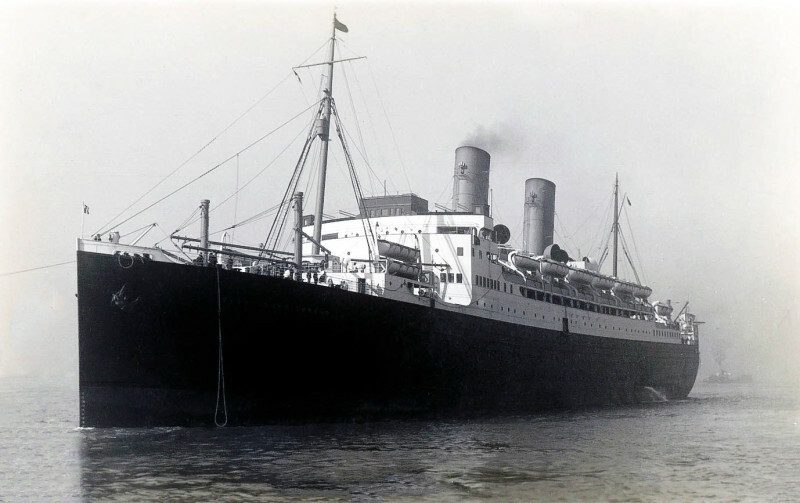 Upon completion, she was renamed Empress of Canada on July 12, 1947 and sailed on Canadian Pacific’s first post-war Liverpool-Montreal route four days later. After 186 roundtrips, the career of Empress of Canada came to a sudden end when she caught fire, heeled over and sank at Liverpool’s Gladstone Dock on 25 January 1953. After extensive work, she was refloated in March 1954, and left Liverpool in tow on 1 September, and was scrapped at the shipbreakers in Spezia, Italy. The Duchess of Richmond/Empress of Canada sister ships were the Duchess of Bedford/Empress of France II; the Duchess of Atholl; and the Duchess of York.